Sandra Anderson-mother, wife, Physical Therapist, longtime friend, and overall sweetheart-has been with us for the past week. She has been a godsend to us in what easily could have been the worse week of our lives. Satomi and Sandra were room mates while both attended Physical Therapy school at CSU Long Beach back in the mid-1990’s. Satomi and Sandra become great friends and have kept in touch over the years. 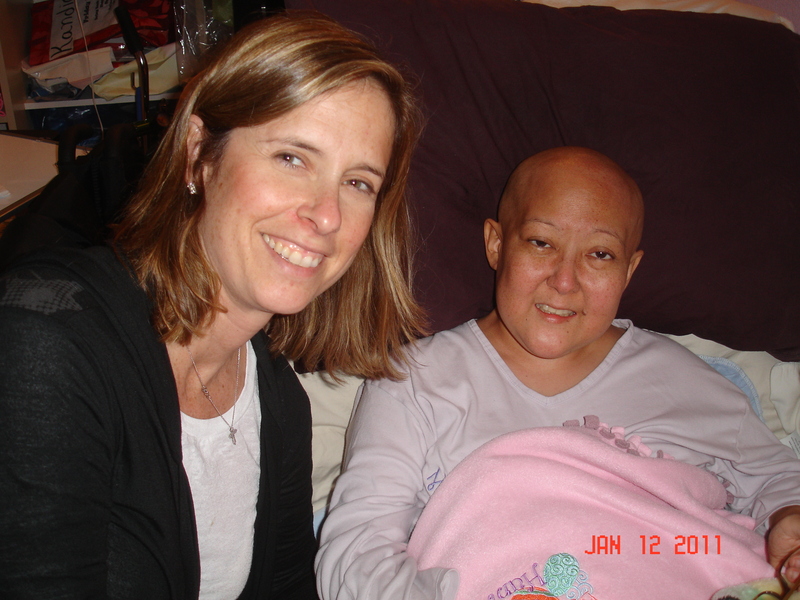 I’ve learned many things since entering hospice care. The most obvious of these is that management of medication for pain is a trial-and-error plan. This is inherently stressful and a mistake is dangerous and life threatening. Sandra’s experiences, memory for details, level head, and uncanny wit made my decision-making palatable. When I first told Satomi that Sandra was flying out, she had the biggest smile. Now that she’s leaving, we’re all frowning. Sandra went out of her way to help us and we will never be able to thank her. My last week was terrible and I was ready to lose my mind. Sandra made it bearable and actually enjoyable. Thank you, Sandra on behalf of all of us who value Satomi’s life!! Also Sean, Kandace and Jillian!!! You are truly are great friend!!! I second that – and I’m so very happy to see a smiling Satomi!! We continue to pray for all of you!